If you don’t know yet how I feel about gender reveal parties, the answer is AWESOME! Any excuse to throw a party is GREAT by us and I think gender reveals are the funnest little trend that has popped up in the last few years. 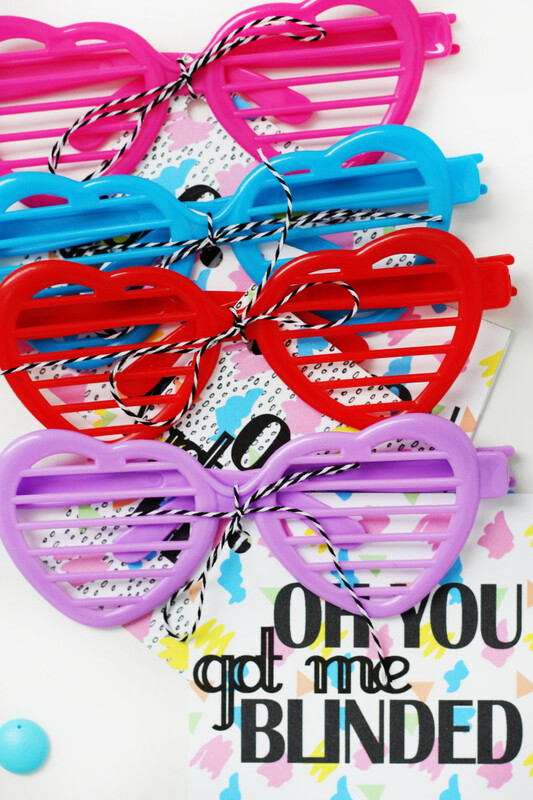 Getting together with your loved ones, taking guesses, making lots of girl and boy themed decorations! I love it all! And I especially love the actual big reveal!! 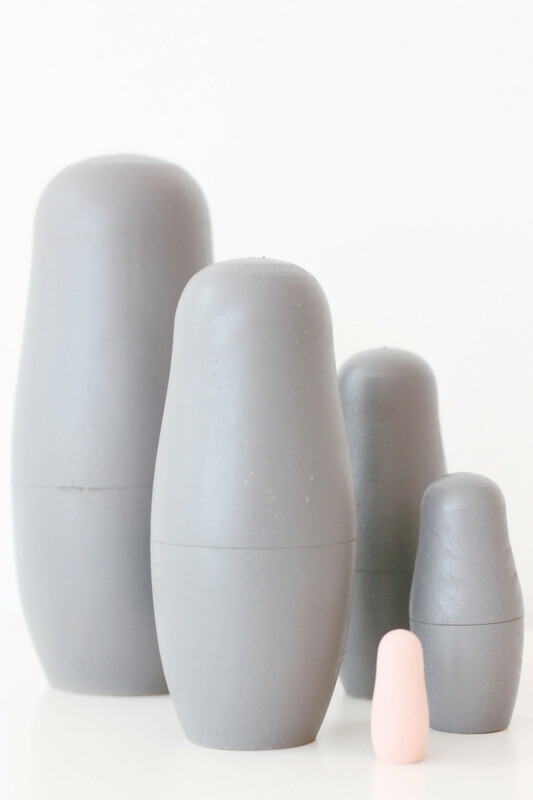 There are so many fun ways I’ve seen to make the announcement, confetti poppers, cake, silly string, but my new favorite has definitely got to be this DIY nesting doll idea. 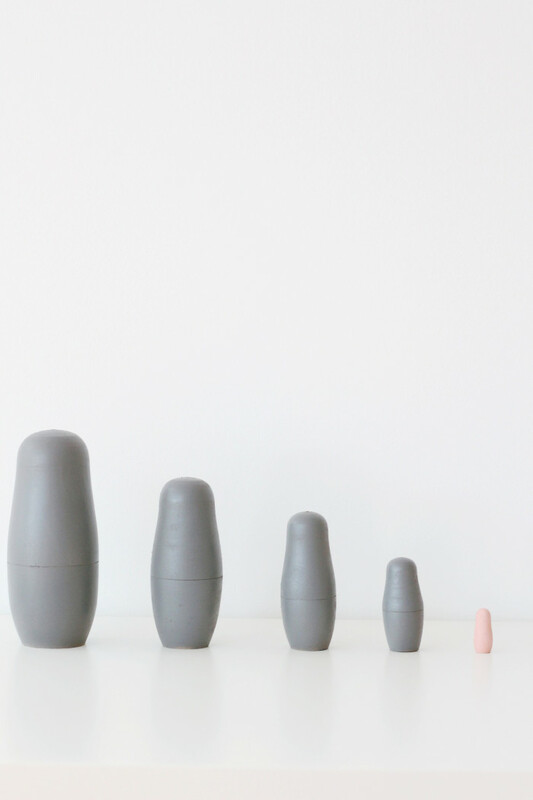 Traditional Russian matryoshka dolls get a minimal coat of paint and the very last little one is blue or pink, depending on your expected little one’s gender! Don’t you always feel like when you’re opening nesting dolls, “When on earth is the last one going to come?! They can’t get any smaller!” ? Can you just image that anticipation building up more and more as all your loved ones get excited to see what new little babe they can welcome into the world?! I just love the thought so much. 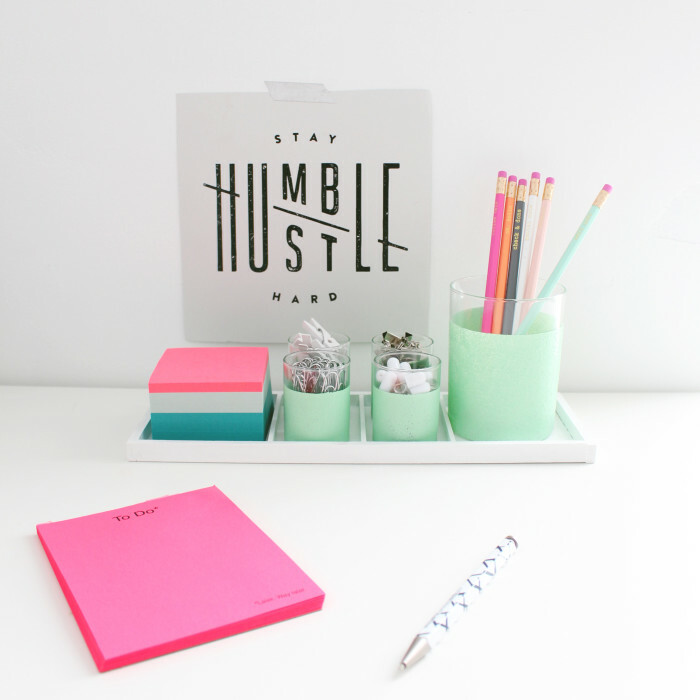 PLUS it’s not messy like all of the ideas I just mentioned at the beginning of this post! AND (this just keeps getting better huh? :D ) you can then use the dolls for decor at the party, your baby shower and/or in your new baby’s room! 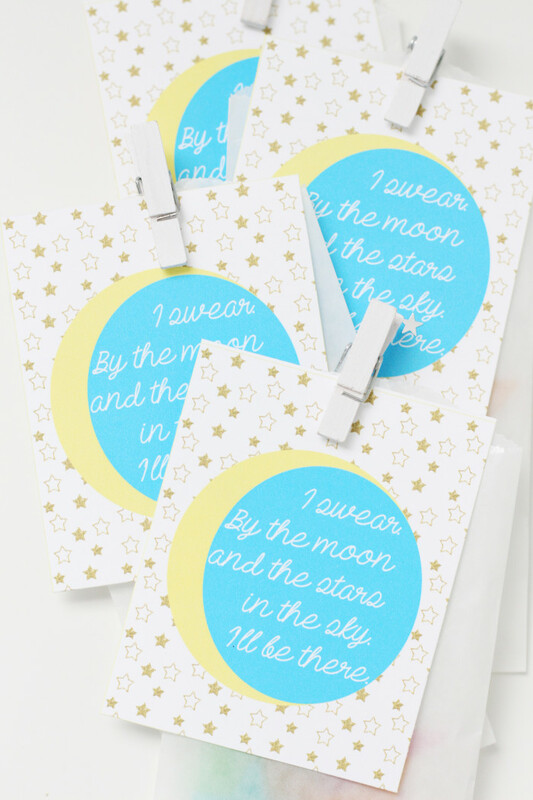 I’ve just added these little guy’s to Stella’s room decor and I love them so much! I think I’m also going to get a bare set for my room cus I just love the unfinished wood look so much! You know, I blame the love songs of the 90’s for all the relationship problems I’ve ever had. I fully expected, as a child, that the men I dated and the man I married would continuously serenade me with songs about my eyes while we slow danced every night and that would be my life. I also grew to expect many more things from this era of music that I have since realized are either completely unrealistic or just really rare for men to do. But, while my life has been completely devoid of any African American men singing me love-song-lullabies to sleep at night, or anyone saying anything about stars in my eyes, I still love these songs just as much as I did when I was 5. Despite the fact that they led to a false belief of what adult men are actually like, they’re still so sweet! And I think that daydreaming little kid in me comes out a little bit whenever I hear them. So, as tribute to the over-the-top infatuation songs of my childhood, I present to you this All 4 One “I Swear” Valentine. Whether or not your partner looks you in the eye and promises to always be there “For better or worse! Till death due us part! I’ll love you with every beat of my heart! I swear! !” (I had to..couldn’t stop..), they probably still deserve this Valentine, especially if you lived through the 90’s and remember pining your heart out to this jam! 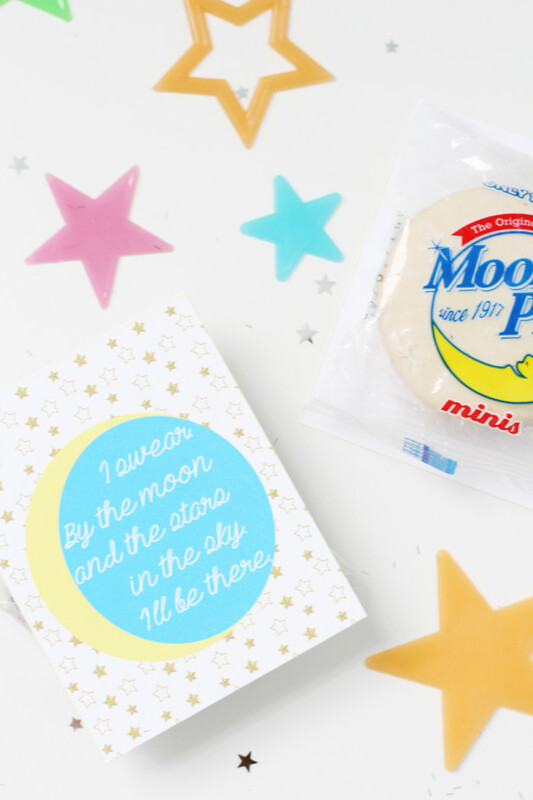 And hey, its a printable (with glow in the dark stars or moon pies or whatever you want!) so you can just hand it to them, absolutely no need for prolonged eye-staring and awkward singing. I am so excited about this year’s round of Valentines we have in store for you guys! Two years ago, before this blog was even online, I started making a list of ideas for Valentines based off of my favorite 90’s songs :D I’ve talked about my love of that decade, and particularly it’s musical contributions, before (weirdly in a Valentine post…) but I can’t reiterate it enough, the 90’s were EASILY the epitome of at least the hip hop, alternative rock, and love song categories. So, as I was saying…two years ago I was bummed that I wouldn’t get these Valentines up because I was so excited about the idea. Then the next Valentine’s came, and this blog was up, and I really couldn’t tell ya what the problem was…we just couldn’t get around to them I guess! BUT it ended up being a blessing in disguise because HELLO! The 90’s are all up in everyone’s business right now! 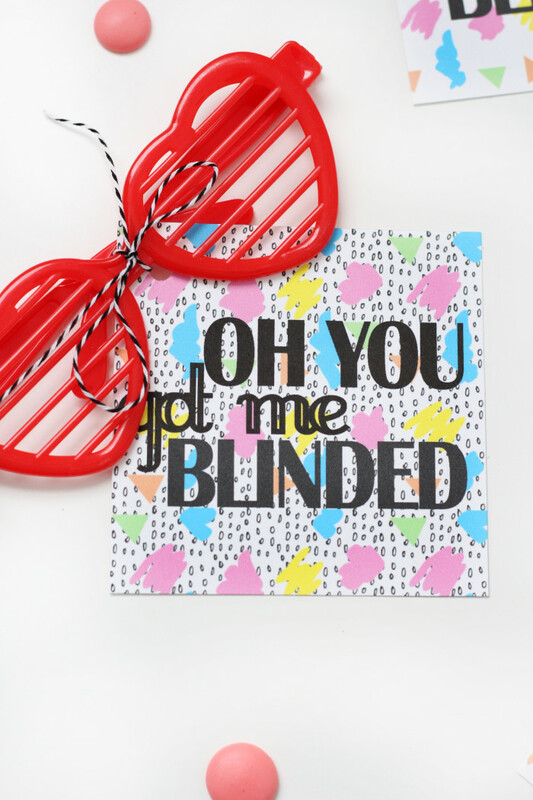 I couldn’t be more excited that everyone is feelin’ the 90’s love vibe this year, maybe mostly because it means these Valentines are perfectly timed. And first up in our 90’s V-day gifts, gotta pay tribute to my girl Britney. I can remember so vividly skating around the roller rink (ahem..Classic Skating..) to “Hit Me Baby One More Time”, belting it out with our girlfriends. While I do miss the fun, excitement, and music of those days, I have to say I really don’t miss being nervous about whether or not a boy would ask me to “snowball” (what a weird name for the slow song, hand-in-hand, skate…). So, this Valentine is perfect for either that special boy/s in your life OR your gal pals/classmates. 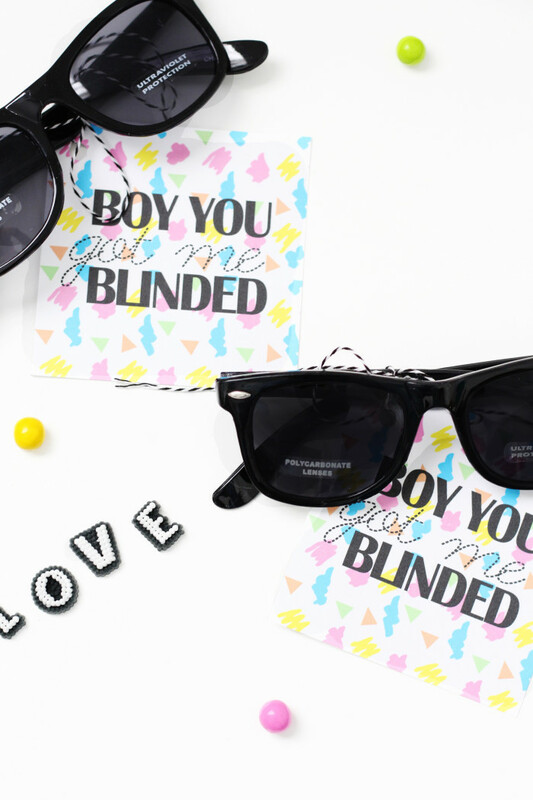 We made two versions for you, one that come right from the song, “Boy you got me blinded!” and one we altered just a bit so it’s a little less gender and love-specific. 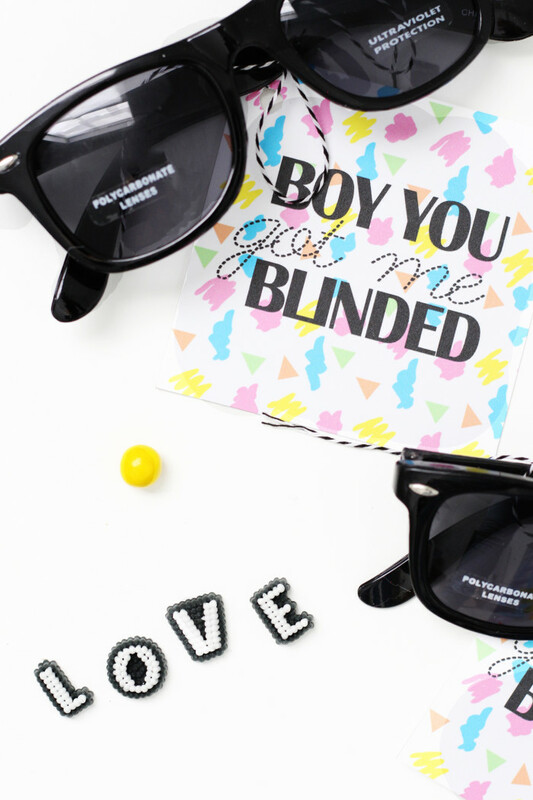 Grab the free printables for both and see more pics by clicking “read more” below! So we are in the midst of #snowpocalypse2016 over here. Which means we really do have a lot of snow, not a foot yet but it looks like it may get there. And it also means that all weekend we will be huddled under blankets, eating tons of food and binge watching Netflix (plus hopefully some reading too). 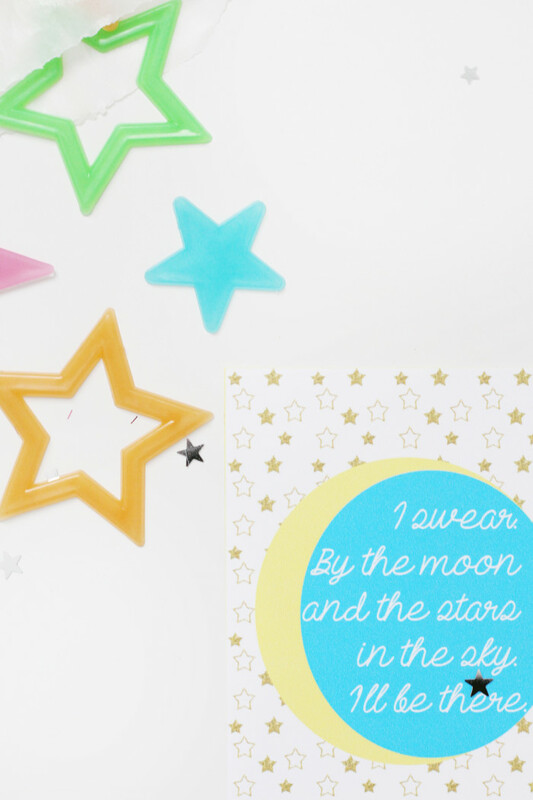 It is still the beginning of a new year which means it is a time for a new regular feature! Every so often we will be sharing an “AJR Favorites” post to share with you our latest favorites whether that be books, design trends, music, tv shows, party ideas, party supplies, clothing, etc.! To kick this off we are rounding up our current favorite podcasts. This may seem somewhat random to the blog but listening to podcasts while you are completing your latest DIY project is the best thing to do. I have been trying to listen to podcasts more often ever since I found a new podcast app that I love (Overcast which is free and has tons of great features). Apparently I did not share my newest finds with Machelle soon enough though because she recently told me she felt like she had been wasting tons her life before she started listening to podcasts and blames me for that. Harsh! So, to make sure that I do not receive any blame from anyone else I am passing along both of our favorite podcasts for you all to check out. And we would love to hear from you – what are your favorite podcasts? 1. 99% Invisible – shorter podcast that explores design in our lives. Topics range from “the worst smell in the world” to superhero costumes. 2. BackStory – awesome history podcast that takes a current event as the impetus for exploring the history of the topic. 3. On the Media – media analysis show covering why we use the term “boots on the ground,” political correctness and more. 4. Planet Money – who knew economics could be so fun? 6. RadioWest – based out of SLC with host Doug Fabrizio who is just fantastic and covers all topics. 7. TED Radio Hour – explores a particular issue or topic using past TED talks. 8. This American Life – had to include this one! 9. Welcome to Night Vale – community updates from a fictional town where anything is possible. I would have to describe this as delightfully bizarre. 10. StarTalk – an hour with Neil deGrasse Tyson, enough said. 11. Book Review by the New York Times – authors and critics discuss books, art, ideas. What should we add to our list?! I’ve just loved the yarn and woven wall hangings that have become so popular this last year, I hope they don’t go away in 2016! 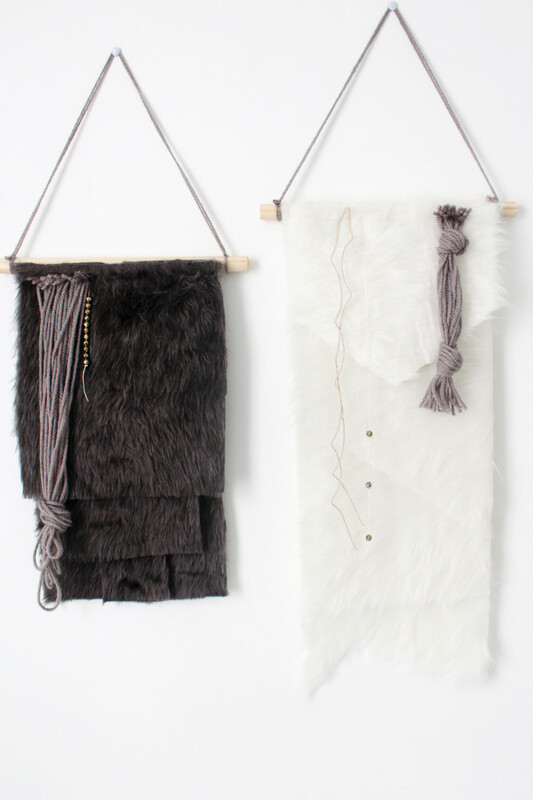 And while there are many I’ve seen, and some great tutorials for them, I decided that I ultimately wanted something a little different in my house and so I created these wall hangings with similar shapes and aspects but instead of hanging yarn or weaving of any kind, I made them with faux fur! They also feature my new favorite beads from Panda Hall and add the best chunky depth to my walls!